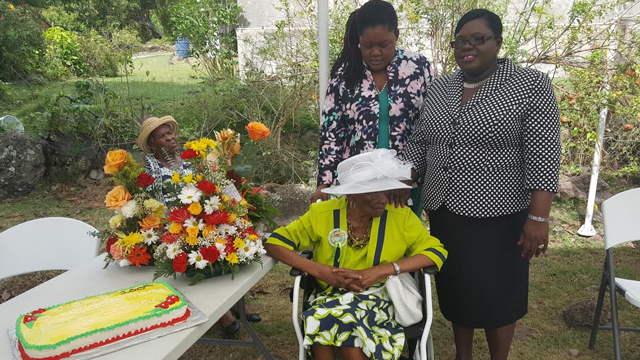 THG Network (Nov. 1, 2016) — Mary “Mem” Browne reached her 100th birthday on Tuesday (Nov. 1), becoming the island’s seventh centenarian and the Federation’s sixteenth. 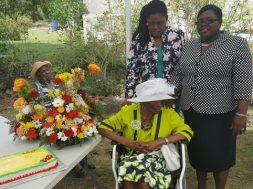 Scores of Nevisians visited with her at her River Path, Gingerland (Nevis) home, where she has lived since marriage, and where there is an all day celebration, to which all are invited. Among the visitors were Minister of Social Development the Hon. Hazel Brandy-Williams, Director of the Seniors’ Division Mrs. Garcia Hendrickson and staffers, who brought greetings from the Nevis Island Administration. 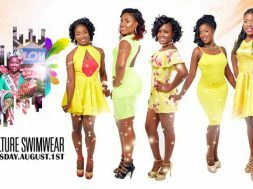 Mrs. Browne also received a congratulatory message from Her Majesty Queen Elizabeth 11. 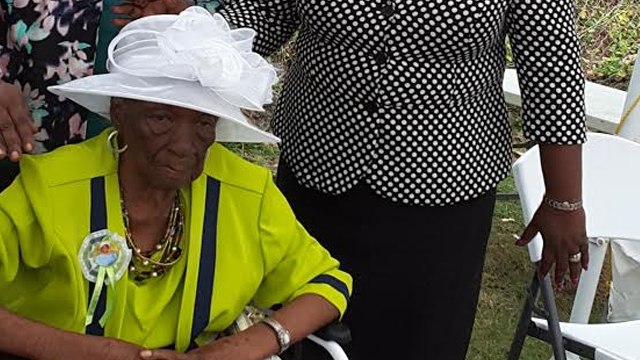 Born in Zion Village on Nov. 1, 1916, Browne moved to River Path when she married Preston. Together, they bore eight children, of whom one has passed – Monroe, who perished on the MV Christena on August 1, 1970. 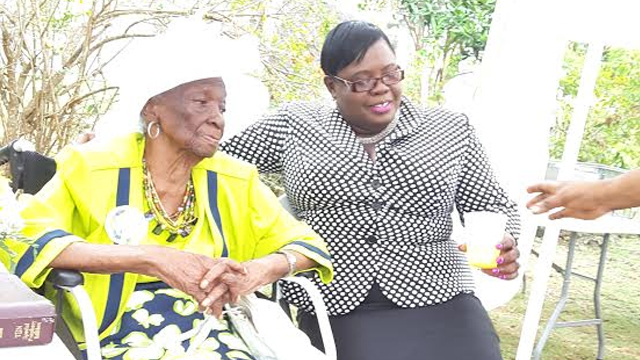 “Mem” as she is affectionately called was a seamstress of great renown, told THG News on Sunday, that “if a ain tun out twenty bride, a ain tun out one.” She was also skilled at needlework and hardanger, and a baker par excellence in perfecting the plate tart. Mrs. Browne has been blessed with extraordinary health. Parish Priest Father Dr. Alson Percival said, Sunday at a special service at the St. George’s Anglican Church, that “she still reads her bible without glasses, and I have to wear mine.” She suffers from no major illnesses, but her hearing is fading. Dozens of family members, including children, grandchildren, great grandchildren, nieces, nephews, and cousins (18 from England alone) travelled from abroad, to mark the milestone. 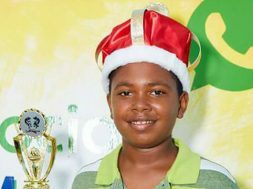 When our reporter visited at 7 a.m today (Tuesday), immediate family members were gathered for prayer and thanksgiving, while “Mem” feasted on saltfish and johnny cakes. 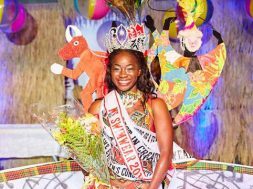 With a population of approximately 12, 500, Nevis has one of the highest ratios of centenarians per capita in the world. The other six are Celian “Martin” Powell, the Federation’s oldest person (104), William Douglas and Doris Claxton (102), Dowie Elliott and Florence Liburd (101), and Rosetta Hull (100). 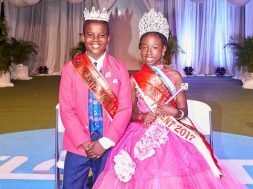 Ertensia “Ettie” Jeffers of Hicksmans (now the Flambouyant Home) is also approaching the landmark, on Nov. 30, which would make it one in every 1, 563 resident Nevisian, who makes it to the coveted hundred. 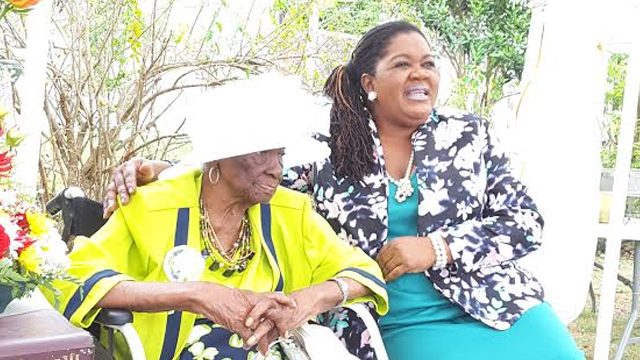 If Jeffers gets there, five of the eight centenarians will hail from St. George’s Parish (Gingerland) – ironically, originally the food basket of the island. Craddock Road, (St. Paul’s) is the only village with two. There is only one male, William Douglas, of Butlers (St. James). St. John’s and St. Thomas’ have no centenarians. But today belongs to “Mem” Browne – girl, you are batting well – 100 not out. Happy Birthday!!! !